The history of rock ’n’ roll bands is littered with infighting and egos, backstage dust-ups and public backbiting. Creative forces can take ugly trajectories. But the big moment – the artistic or commercial breakthrough of a musical group – still offers an opportunity, even a fleeting one, for the band to revel together in collective triumph. Despite releasing an album that was both an artistic and commercial breakthrough, the Verve never seemed to enjoy their “big moment.” As 1997’s Urban Hymns became a blockbuster record, the British band’s singer – and prime creative force – Richard Ashcroft began to regret how the album was made and presented. To put too fine a point on it, he wished he’d made a solo record. The man who Ashcroft names, Nick McCabe, is/was the Verve’s guitarist, with whom the singer had become estranged when the band broke up in 1995 after six years and two albums. Although Ashcroft quickly reconvened with other members Simon Jones (bass) and Peter Salisbury (drums) while also adding pal Simon Tong (keyboards/guitar) to the fold, he and McCabe didn’t speak for a couple years after the Verve disbanded. In the meantime, Ashcroft went forward with writing and eventually recording new material, working with producer Youth (Martin Glover) on songs including “The Drugs Won’t Work,” “Lucky Man,” “Sonnet” and “Bitter Sweet Symphony.” The singer’s deeply felt lyrics and supple performances meshed with Youth’s lush production of strings and samples, crafting a newly elegant form of Britpop. The recordings, which began in the fall of 1996, might have been a big step forward for Ashcroft, but – for better or worse – he didn’t feel they were quite worthy of the Verve, which he determined couldn’t be the same band without McCabe on guitar. The frontman threatened to leave music completely if McCabe didn’t rejoin the band, and the guitarist complied. And so, McCabe added guitar parts to the existing Youth-produced songs. The reunited Verve (plus Tong) then did sessions with producer Chris Potter to record some looser, more jam-based material, attempting to strike a balance between the old Verve and the new. 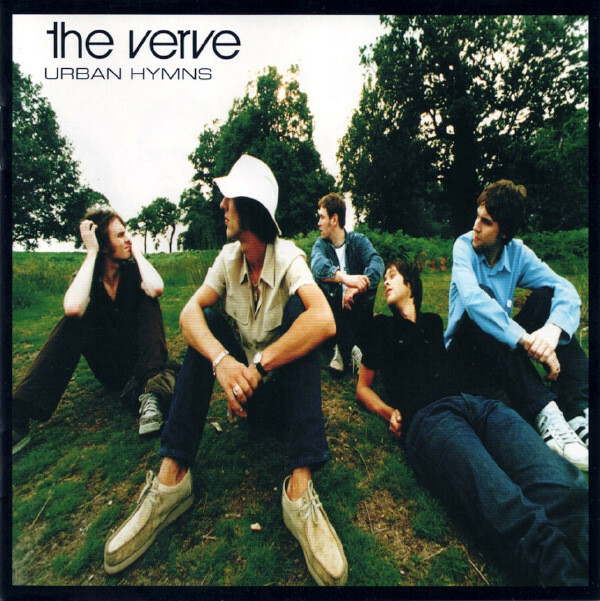 The resulting Urban Hymns, released on Sept. 29, 1997, would feature seven recordings produced by Potter and seven by Youth. One of those seven Youth tracks was determined to be the record’s lead single, “Bitter Sweet Symphony.” It was a catchy, circular epic partially constructed around a string sample that was taken from a 1966 symphonic recording of the Rolling Stones’ “The Last Time.” The Verve had received permission to use a six-note sample, but when the Stones’ former manager Allen Klein (who held the rights to the band’s early recordings) heard how heavily “Bitter Sweet Symphony” featured the repeated string motif, he sued the Verve, who settled out of court. As the song turned into a monster single over the summer, debuting at No. 2 in the U.K., Mick Jagger and Keith Richards were given co-writing credit (with Ashcroft) and all of the song’s royalties went to Klein’s ABKCO Records. The band’s big moment proved fruitless – at least financially – and was undercut in the press by the controversy. Ashcroft could only sneer. 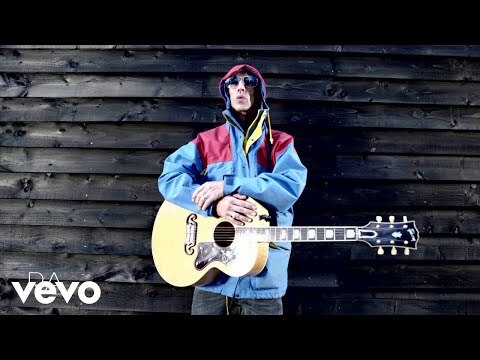 Still, the single, along with its MTV-approved video of Ashcroft insouciantly strutting down the street, turned into a smash all over the world, bringing the Verve to the attention of American music fans, who made Urban Hymns a platinum record in the States. In the band’s native Britain, the album was even bigger, producing three Top 10 singles (including the No. 1 “The Drugs Won’t Work”) and eventually selling more than 3 million copies. Critics were nearly as effusive in their praise, with the album landing on best-of lists on both sides of the Atlantic. But the Verve didn’t appear to bask in the glow of their success for long. While on tour, Ashcroft and McCabe’s relationship became fractious again, resulting in a scuffle and the guitarist’s departure. Live performances were panned and the Verve once again fell apart, with Ashcroft disbanding the group in 1999. In the years that followed the split, Ashcroft desired more credit for Urban Hymns, something that his former (and future) bandmates seemed all but too pleased to give him. Bassist Jones later complained that the Verve was becoming all about “strings and ballads.” McCabe expressed displeasure with the final record. Much of the public and rock press would respectfully disagree. Urban Hymns remains in the conversation of best British albums of all time among U.K. rock writers, while “Bitter Sweet Symphony” has established itself as a Britpop classic. In 2017, a 20th anniversary deluxe edition of the album was put out by Virgin, to mostly glowing retrospective reviews. Decades after its release, maybe the guys who made the album - who have since reunited and broken up again – can even enjoy it.